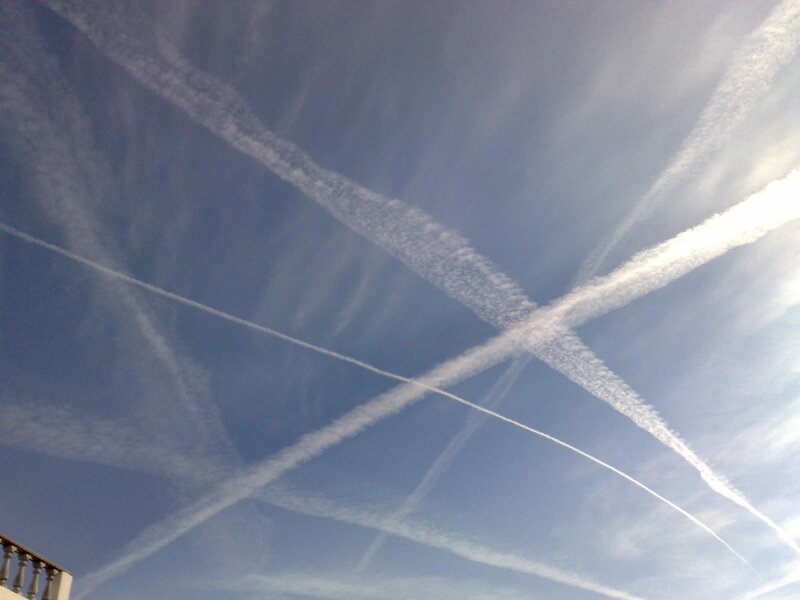 Chemtrails have been bugging me for a few years now. 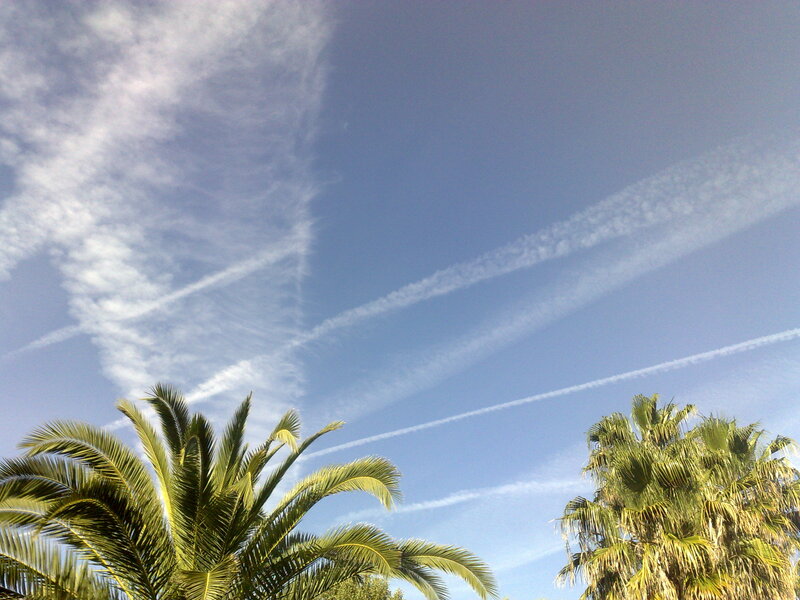 Most say, 'don't be silly, they are contrails,' but as someone who has lived an outdoor life all over the world, who has studied and enjoyed the skies and clouds, I see a difference. Don't you? The blue blue is no more, the milky haze is here. I was away in Portugal for a while, trying to find a rural heaven. I found liars, deceivers, cheats and unbelievable chemtrailing/ geo engineering. It was a lovely place, the Alentejo, but impossible to stay in. Came back to Cyprus and was so pleased to see blue skies again. Then I saw them offshore in the early morning in 2017. Now they are bolder, no one sees or seems to care. It has been pretty busy up there this year to date. 2019. Milky white not blue Cyprus skies. I wonder why.... someone, not me seems to have removed the link that was here, kinda makes it pertinent then ? Do unto others is probably the best you can do, so do it.